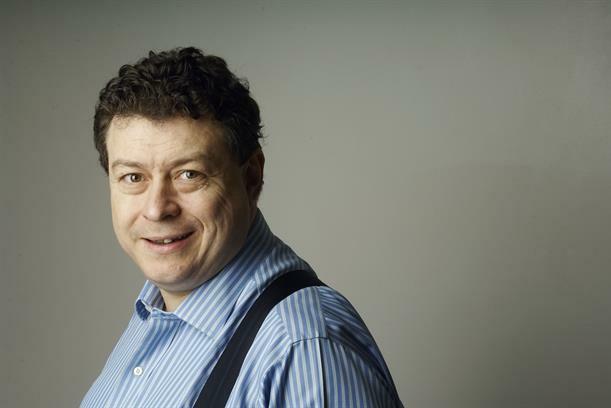 Rory Sutherland, vice-chairman of Ogilvy Group UK and co-founder of Ogilvychange, reflects on the how his career has been influenced by Sir Martin Sorrell. It seems we'll never know what Martin's misconduct was. It certainly wasn't the last lunch we had - or rather the last lunch I watched him eat. Mid-meeting, an assistant brought into the boardroom an Itsu salad in a cardboard bowl from which all the interesting ingredients had been removed, leaving only three sad lettuce leaves and a couple of manky tomatoes. Alert to Farm Street's notorious lunchtime frugality, I had sensibly preloaded on sandwiches beforehand at a café round the corner. But I shall certainly miss him. Almost as much as British Airways will miss him. Even the annoying bits - the "as I was saying to Janet Yellen" stuff, or the slightly deranged sinophilia. Those of you outside WPP also owe him almost as much as we do, for it is down to his bravado that London remains preeminent in marketing services. (Without Martin I would probably be working for something called Groupe Ogilvy SA and report to someone called Jacques). I also owe him very personal thanks for not once interfering with my freedom to write or say whatever I wanted. At a time when most chief executives of public companies seem to try to be as anodyne and uncontroversial as possible, he was one hell of an outlier. Jerry della Femina once claimed that you can either be immortal or indispensable, but not both. It's an interesting idea – and it seems to be widely believed by those people who think that WPP cannot long outlast the rule of its founder. But this is nonsense. Often it is precisely those organisations with highly remarkable founders which endure longest, as the cultural imprint runs a lot deeper. Steve Jobs is still far and away the most powerful man at Apple - and he's dead. To be frank, I never understood the logic behind separating media and creative. It seemed to turn an agency from a restaurant into a Mongolian Barbecue. But the kind of break-up of WPP conceived by financial analysts in line with cretinous ideas of "shareholder value" could be far dumber still. The company remains an amazing creation, easily greater than the sum of its parts. Interestingly, if you divide Sir Martin's fortune among the 200,000 employees of WPP, we'd get about £1,200 each. Spread over the 360 months I have worked for him, that works out at £3.33 a month – or around half a Netflix subscription. Framed that way, it seems hard to deny that Sir Martin was significantly underpaid.